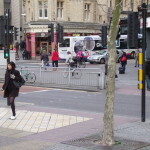 British urban designers, and many transport planners, believe that pedestrians and cyclists should always, or nearly always share the same space. 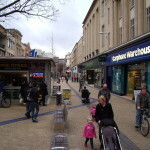 This policy has been damaging for cities like Bristol, causing many unnecessary conflicts. European cities have shown us a better way. Sharing is acceptable where there is enough space, and numbers of cyclists or pedestrians are low. Where volumes are high, and space is limited, separation is better. If space is in short supply, planners should look to remove space from general traffic rather than squeezing cyclists and pedestrians together. Shared pavements should only be used as a last resort. Cycle routes need to be direct. If they are designed with big detours, this will lead to short-cutting and more conflict. The current situation is not working well. A better solution would provide a contraflow lane as shown in red, plus a cycle path as shown in blue. The Centre and the city end of Baldwin Street need a complete redesign (see our previous post). 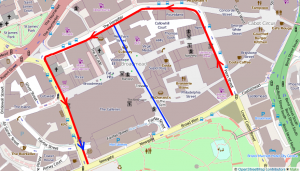 This should remove through traffic and provide separate cycle routes like the ones on College Green and Castle Park instead of the current free-for-all. 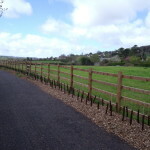 The Bristol to Bath cycle path has become a victim of its own success. It was a brilliant idea when it first opened, so much so that the city end is now congested in the rush hour. Some stretches of this are particularly narrow. We should follow the examples of Dutch cycling cities, like Groningen and Zwolle, widening the path and creating a separate pavement for the first mile through Lawrence Hill and Easton. 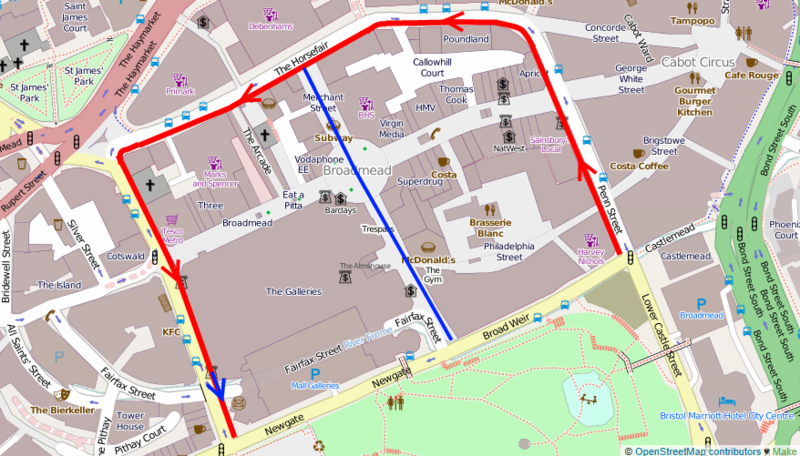 The draft neighbourhood plan for Old Market is proposing to narrow Old Market from four to two lanes, which we support (see diagram in The Post). This would concentrate more traffic onto those two lanes. Amazingly, this includes no provision for cycling. 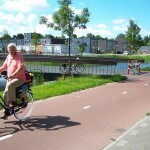 Cycle lanes or paths must be provided as part of this plan. Posted on 8 February 2014 at 2:14 pm. I am a resident within Bristol harbour area. It is an area where large numbers of visitors walk around enjoying the location, boats and history and brings many tourists to the city. Unfortunately the whole of the circuit of the harbour walkways are blighted by cyclists weaving in and out of walkers and travelling at great speed. 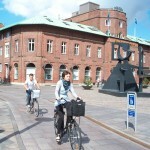 The waterfront is also an area where children can run around and use their scooters and bikes. The speeding cyclists make the area highly dangerous. I would ask you to include the harbour waterfront in your reviews. The whole city is blighted by irresponsible cyclists, who claim every right for themselves vis-á-vis other vehicles but treat other users, particularly vulnerable pedestrians with no consideration whatsoever. Instead of caving in to the cycling lobby, the city should ensure that existing legislation is enforced: no cycling on pavements; no ignoring red lights; ensuring visibility by wearing appropriate clothing and having lights at night. People such as myself, who are not actually anti-cyclist per se are becoming increasingly angry and frustrated at having to take avoidance action with increasing frequency. The Bristol Cycling Campaign wholly admonish anti-social cycling and I believe the other groups supporting Living Heart for Bristol would agree. We need to make clear that the people calling for improvements in cycling infrastructure are not the same people acting anti-socially. 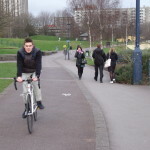 Indeed it has been shown that improvements to cycling infrastructure improve overall behaviour because conflict between different road users has been carefully engineered out. And we would dearly like to see better enforcement of the rules covering ALL road users, especially against anti-social behaviour by people in charge of motor vehicles, which can have far more serious consequences than that by people on bicycles. It is this elimination of ‘road danger’ that we should all be prioritising. 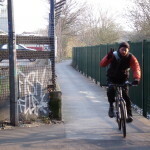 Hugh Adams, while I agree that antisocial people riding bikes are a nuisance, there is a bigger and much more dangerous nuisance that seems to be invisible to people who complain about people on bikes. But this seemingly invisible but dangerous nuisance is people driving cars, especially people driving cars in an antisocial manner. But due to the almost universal acceptance of car travel, people find it hard to see what damage they do. They kill people, they pollute horribly, they take up space. The are driven through red lights at far greater speeds than cyclists go and they weigh a tonne. They are driven onto pavements and then left there in the way of pedestrians. They create noise, and the faster they are driven the more noise and the greater danger to others. The so called crimes of people who ride bikes pale into insignificance when put next to the carnage and pollution and noise created by people who drive cars and vans and lorries and motorbikes. There may be good reasons why people do this. That is not the point. There are also good reasons why people ride their bikes. It’s where we should be putting our energy in complaining and campaigning. At the minnows or the sharks?